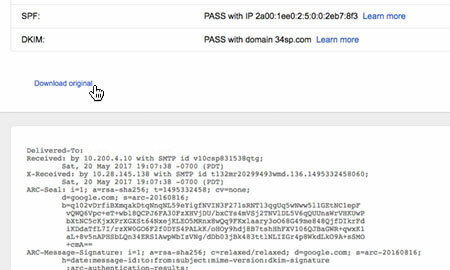 This is a quick step-by-step guide to viewing the headers of an email in Gmail. You may be asked to provide an email header, by a member of the 34SP.com Technical Support team. We use the information in the header to troubleshoot mail delivery problems. 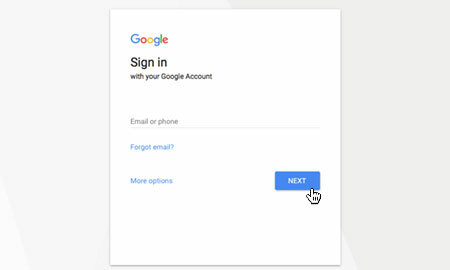 Firstly, you'll need to login to Gmail via the Gmail login page. After you have selected the email to wish to view the headers of, navigate the the upper right hand side of the email and click the down arrow button (next to the reply button). From the drop down menu, simply choose 'Message' then 'Show Original'. This will open a new tab or window, showing you the raw source of your email, including the email header. Simply click the link labelled 'Download original' to download the entire raw source of your email.